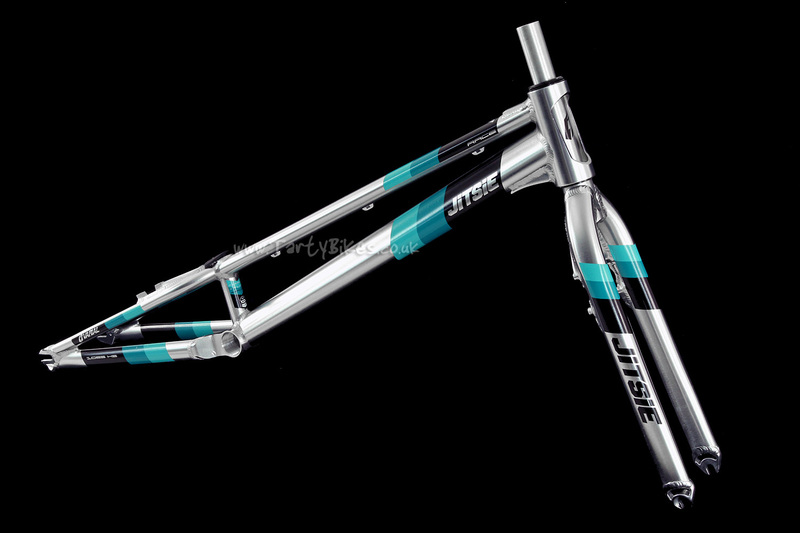 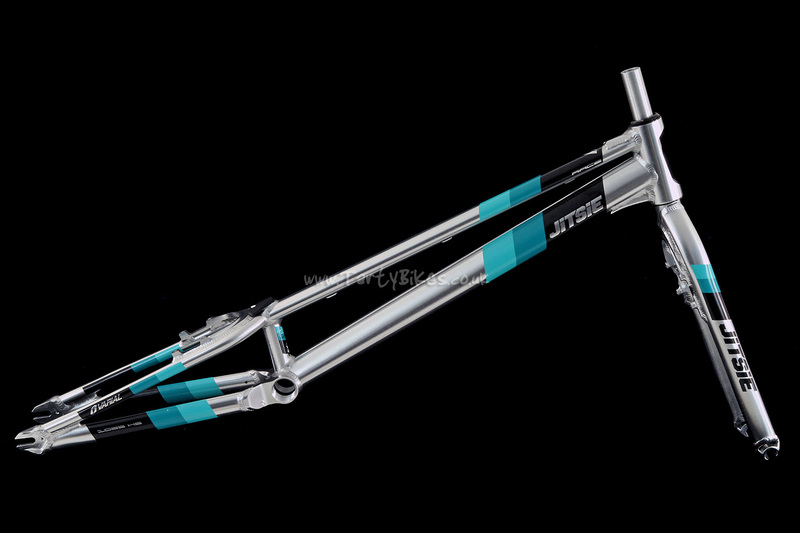 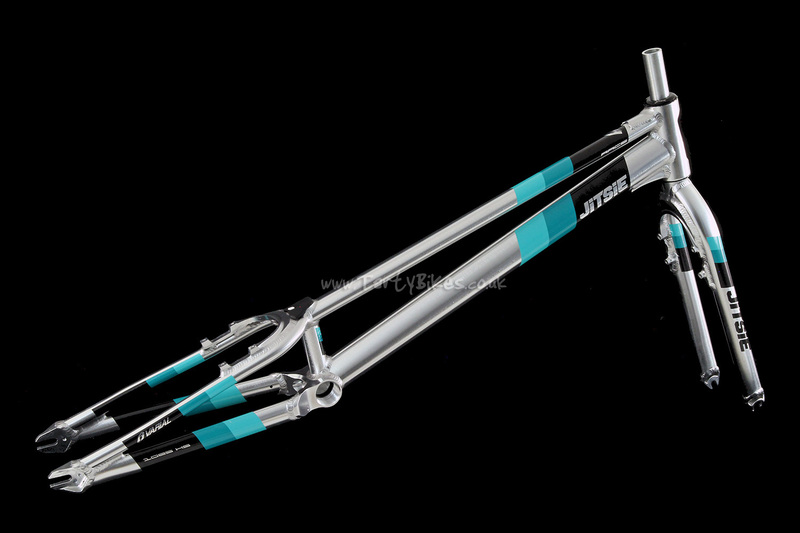 Nicolas Vallee signature Jitsie Varial Race Frame Kit! 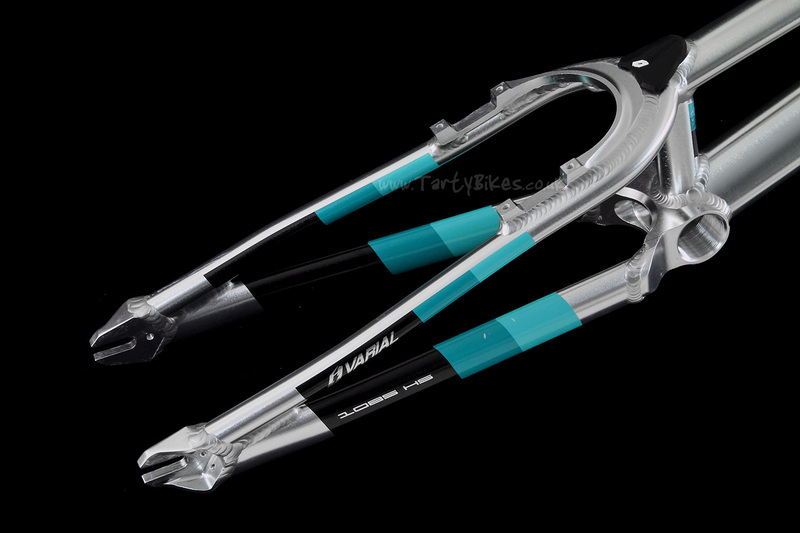 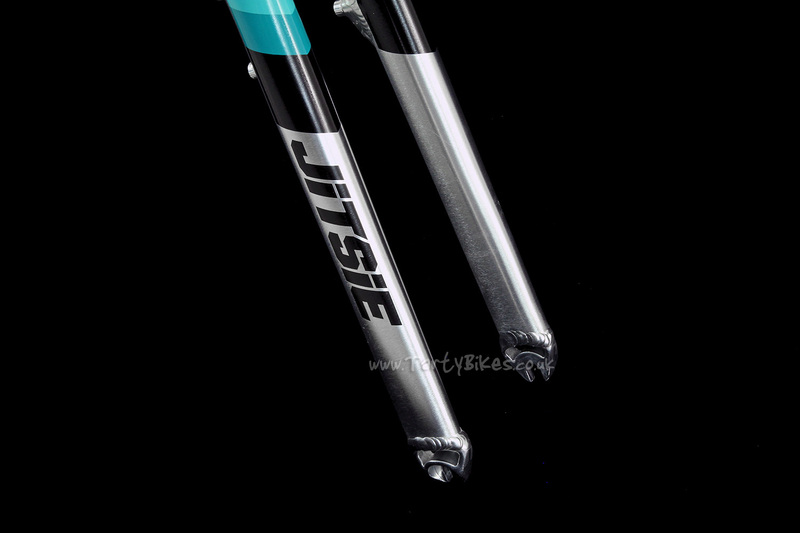 - New from popular brand Jitsie, the Varial Race 26" Frame Kit, developed with Nicolas Vallée! 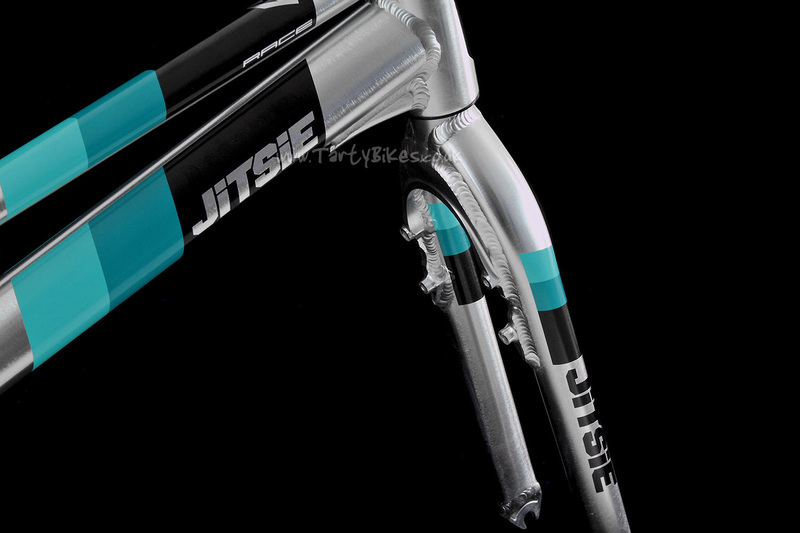 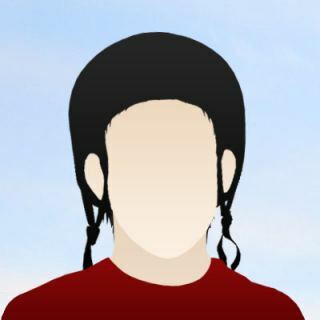 - Ridden in top level international competitions by Nico, and by his Jitsie team mates. 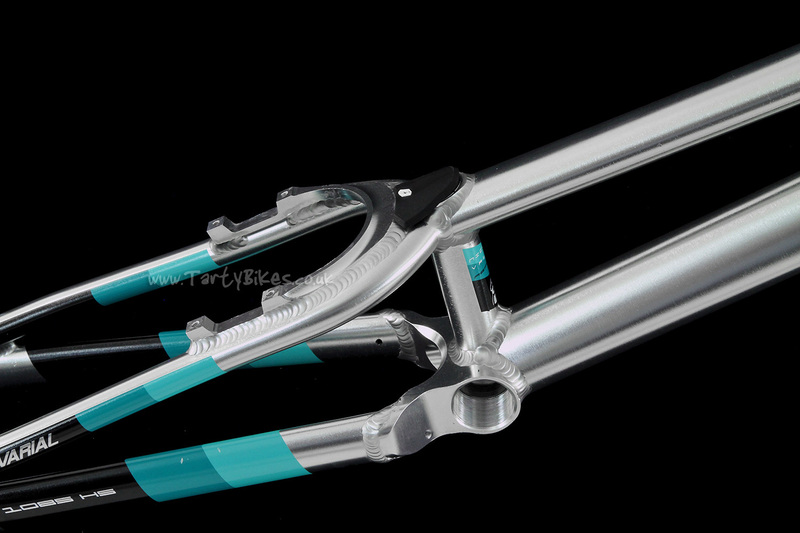 - One-piece BB yoke (68mm wide) is machined out as much as possible to keep that area as light as possible whilst retaining strength and stiffness. - Brushed silver finish looks great, especially when teamed up with striking Jitsie Varial Race Nico Vallée water transfer graphics. 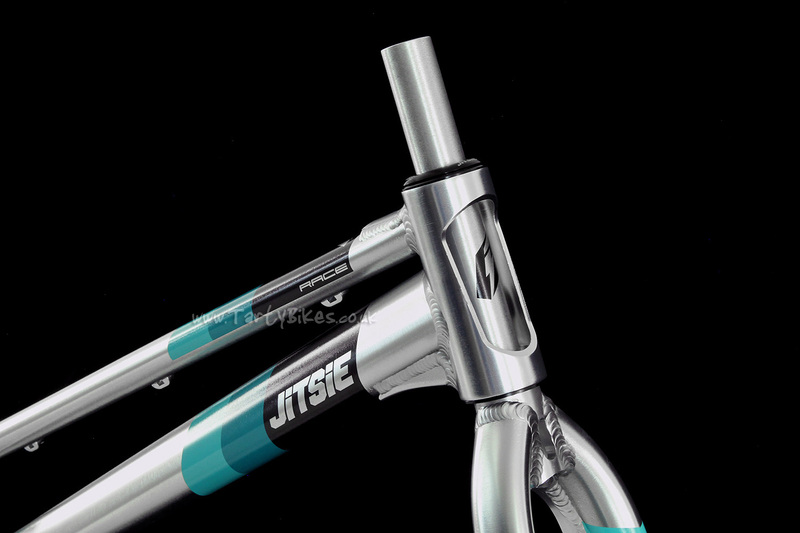 - 4-bolt mounts spaced at 99mm feature an integrated brake booster to improve brake stiffness and frame longevity. 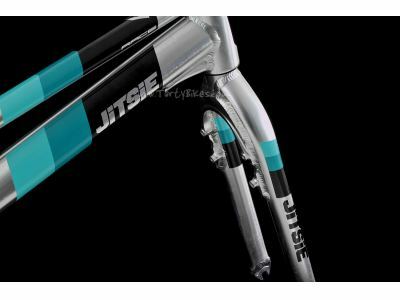 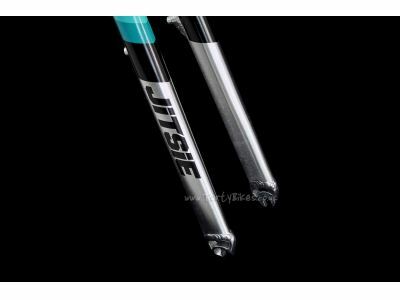 - Supplied with Jitsie branded silicone seat tube bung to cover up the seat tube hole (allowing the use of the Jitsie seat and post - more information soon). 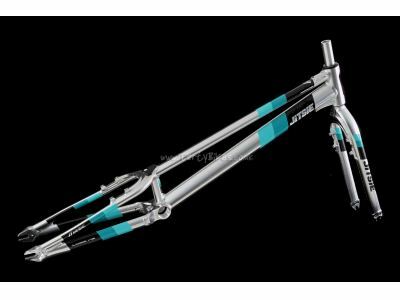 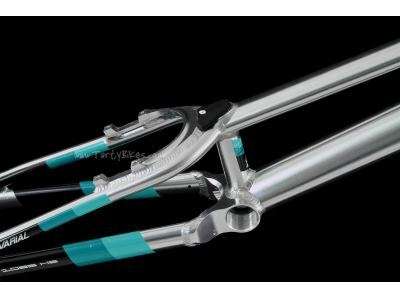 - One piece 200mm long steerer tube with 4mm upper wall which becomes substantially thicker nearer the crown area overcomes problems seen on pressed and welded steerers (requires Large TartyBikes Star Nut). 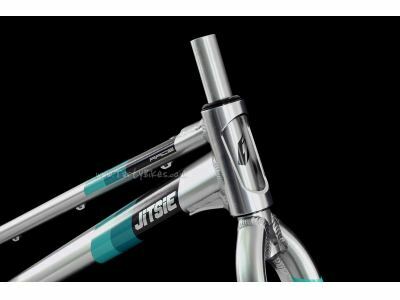 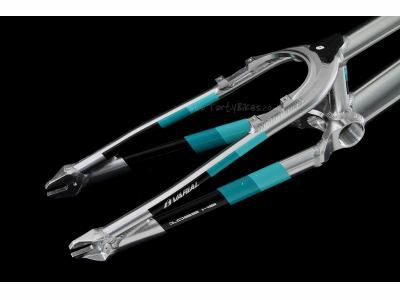 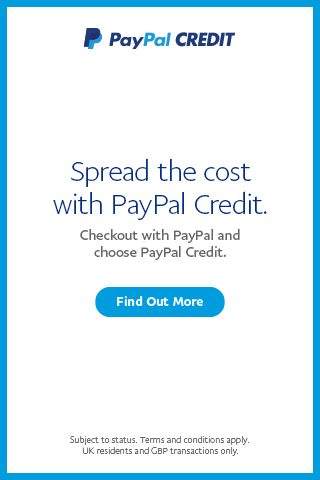 - 4 bolt mounts on the rear of the fork, spaced at 85mm, feature an integrated booster which helps to increase brake stiffness and overall durability.